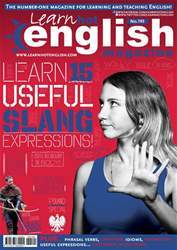 Digital Subscriptions > Learn Hot English > 193 > HOW TO DEAL WITH DISHONEST SALESPEOPLE! HAVE YOU EVER THOUGHT ABOUT BUYING ANY STOCKS OR SHARES? THEY CAN BE A GOOD WAY TO INVEST YOUR MONEY. BUT IF YOU EVER GET A CALL FROM A STOCKBROKER OFFERING YOU THE DEAL OF A LIFETIME, THINK CAREFULLY! THEY MIGHT BE WORKING FROM A BOILER ROOM. Boiler rooms exist all over the world... and they’re becoming more and more common. They are basically unregulated companies that sell stocks and shares. Telesalespeople from the boiler rooms cold-call potential investors and try to sell them shares. The sales people often use high-pressure tactics, and they’ll keep harassing investors until they buy. In some cases, the shares aren’t listed, so they can’t be sold on. But in other cases, the shares are completely worthless or even non-existent. The average loss for most victims is around £20,000, but some people have parted with huge sums of money. In total, boiler rooms are estimated to steal as much as £1 billion every year. “People who work in boiler rooms are prepared to target anyone, however vulnerable, and will take their last penny if they can,” a police spokesperson said. Boiler rooms are simple to operate. Working from the share registers of legitimate quoted companies, boiler room salespeople target people who have bought shares in the past. The Financial Services Authority (FSA) and the City of London Police recently wrote to 6,500 homes to warn people that their details were on a “master list” being used by fraudsters to sell worthless shares. “Intelligence suggests that this list of people from across the UK is currently being shared among boiler rooms,” a police spokesperson said. Boiler rooms are often based abroad, so they can avoid investigation in the countries that they are targeting.